Quite frankly, I’ve been a little burned out for the past couple of months. But then something happens – even if it’s a tiny but impactful moment – and it kicks me in the pants and gets me to log back in and start writing. Sugar is sugar is sugar is sugar! 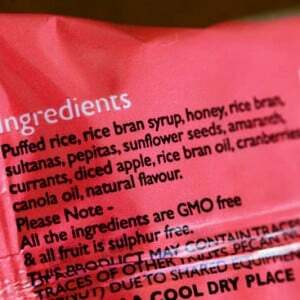 Most “natural” products don’t list the word “sugar” anywhere in the ingredients list. Instead, they list various other types of refined, concentrated sources of sugar, like brown rice syrup or honey.